Every year since I was born my family and I have gone to the beach in Hilton Head Island, South Carolina. A 33 mile drive down the coast is one of the most beautiful and well-planned cities in America: Savannah, GA. Savannah was established in 1733 and is rich in history. The city played a large part in the American Revolution as a port city in the cotton-rich south. But perhaps its saving grace was that it was spared as the ending point in Sherman’s March to the Sea across Georgia. General Sherman of the Union Army on his quest to capture Savannah burned down most towns and fields that he passed by, including the capital city of Atlanta. Because of Savannah’s usefulness as a port city, it was saved instead and presented to President Lincoln as a Christmas gift. Even today when you visit Atlanta, it is comparatively void of any physical history of its colonial days. 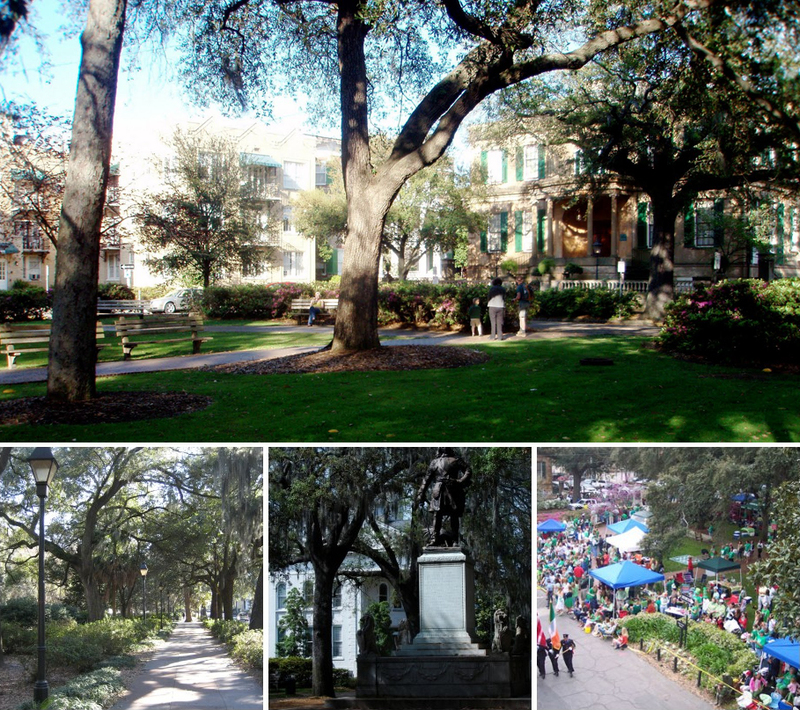 Savannah on the other hand is rich in historic architecture and planning. Savannah is often overlooked for its grander and more visited counterpart to the north: Charleston. Charleston is located on a sound with direct views of the Atlantic Ocean, filled with large, historic mansions, and was the start of the Civil War. While Savannah’s historic homes are more modest in size, its genius masterplan and open space steals my heart as an urban designer. 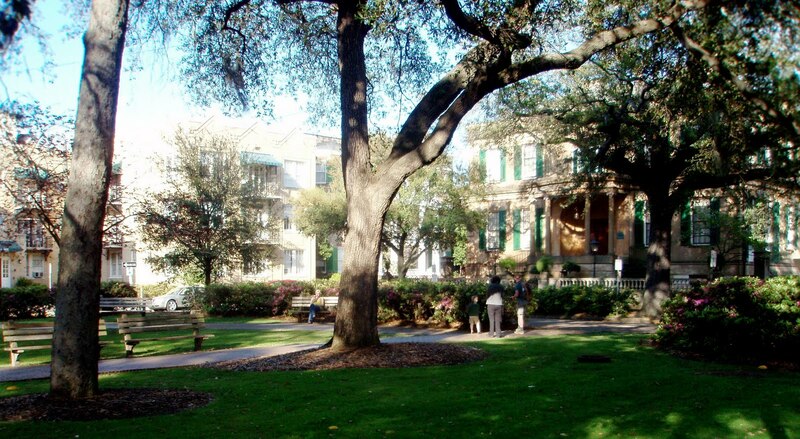 Savannah has many landmarks that any tourist should see, including one of my favorites, the home where Robert Louis Stevenson wrote Treasure Island. But what any visitor will appreciate is the network of open squares, each with their own history, personality, and community identity. Savannah is designed around town square parks (each numbered in the map above.) These still remain, serving as anchors of the street network that connects them all together. My favorite part of the masterplan was the strategy behind it: self-defense. 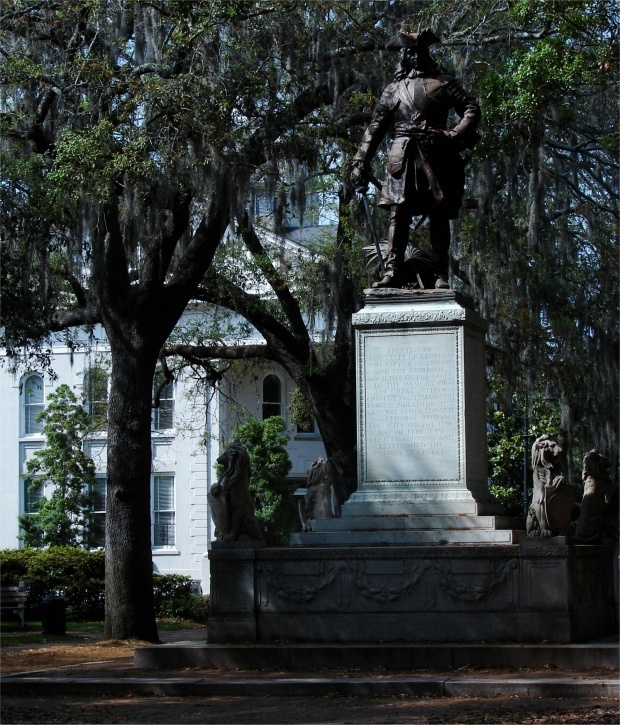 Described as a British “social reformer, visionary, and military leader”, James Edward Oglethorpe discovered, founded, and designed Savannah as a trustee of the Georgian colony. I can’t help but feel a personal connection to this urban designer: he is from the small village of Godalming, Surrey where some of my best friends currently live. He studied in Oxford where I received my two masters. He set sail from Gravesend, Kent, close to my husband’s hometown, for Georgia. And of course, he designed my favorite city. The legend alive and well in Savannah is that Oglethorpe was very much aware of a possible British threat of violence and designed the city to protect itself. With no telephone or means to connect quickly with one another, the idea was that if one person stands in the center of a town square and yells urgent news in four directions to another person standing in those town squares, it would quickly spread across the city. No need for Paul Revere or his horse! Safety – perimeter blocks perfectly intersected with the network of town squares allows all public space to be completely overlooked and monitored. Personalization – with each district having its own green space, the town squares easily transform to host formal neighborhood festivals and informal get-togethers by members of the local community. It is popular to even get married at the center of your town square. Connection with Heritage – town squares are named after historic generals and town leaders, and they often have a statue in their honor at the center of each. This allow residents to appreciate where they have come from and understand how it has shaped themselves and their community. Walkability – I have never been to a city that provides a more enjoyably walkable environment. Because public spaces are so connected to one another, perimeter blocks are a manageable size, and buildings are built at a high density, you can easily navigate the town. Legibility – Because each town square has its own identity and connected by an axial and rigid street network, the city is very legible. You always know where you are, and how to get to where you are going. 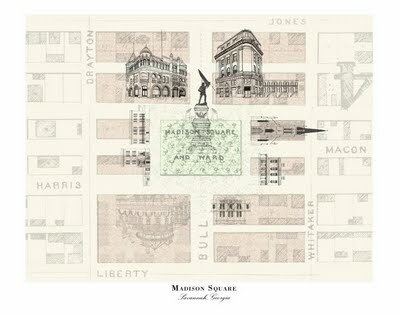 Variety – Even though Savannah’s street network grid is rigid and similar to New York City’s, it offers an enormous amount of variety. The interruption of the grid by the town squares creates interesting visual views in streetscape and tree pattern that constantly and pleasantly surprise the pedestrian. Flexibility – the city’s town square and street network allowed it to be easily added on to. It often was, growing exponentially between the Revolutionary and Civil Wars, to a total of 28 districts (each organized around a town square.) 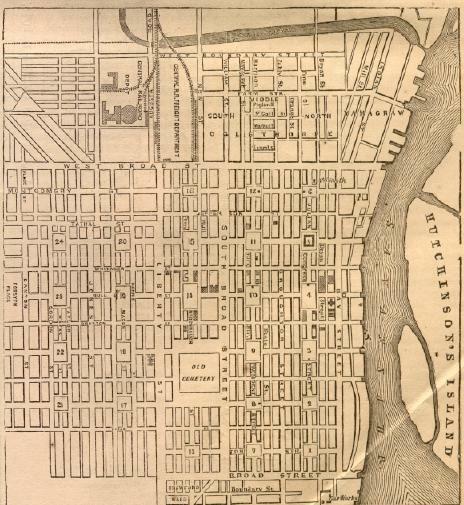 The city was able to grow organically, but still to this day be part of a well-connected and integrated masterplan. For further reading please click here for a fascinating entry from The New Georgia Encyclopedia.